Get the latest MRA news and event information via e-mail. We also provide up-to-the-minute racing information (i.e. weather-related cancelations). If you have registered to become an MRA member, the e-mail address that you provided is already subscribed. Crew members may want to subscribe to ensure they also receive MRA communications. Simply enter your email address below to add or remove yourself from the email list entitled: MRA General Mailing List. 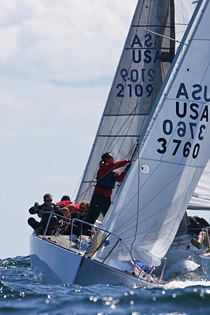 If you have any questions about this mailing list, please send a note to the list manager, Marblehead Racing Association, at info@mheadrace.org.